Boosie Badazz has been on a tear since the start of 2016, having already released not one, but two mixtapes. If you thought he'd be slowing things down for the next little bit, guess again. He's just dropped another couple tunes: "Choppers N Gunz" and "Real Niggas." 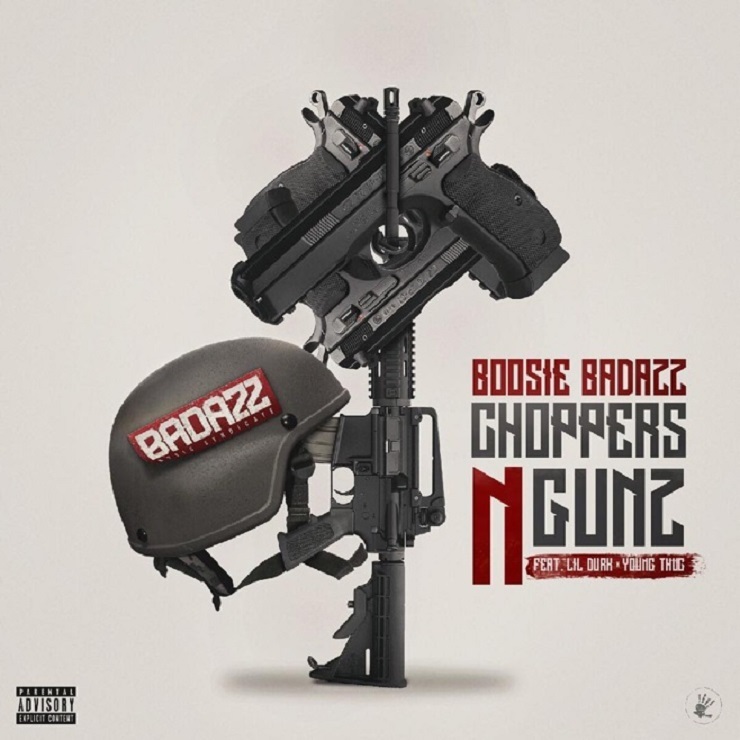 "Choppers N Gunz" has Boosie going for the throat above a menacing beat, rapping about busted-and-dusted dudes getting stopped by some shots. After showing up in Young Thug's video for "F Cancer (Boosie)," the Atlanta rapper is paying him back in kind withg a lyrical assist. Lil Durk shows up for a verse as well. The second track to drop today (February 12) is "Real Niggas," which brings veteran spitter Jeezy on-board for some bars. The single finds the gravel-voiced Boosie shouting out various legit ones, while Jeezy talks about strapped-up shooters and reminisces about some old times. You'll find the latest pair of Boosie Badazz tracks below.